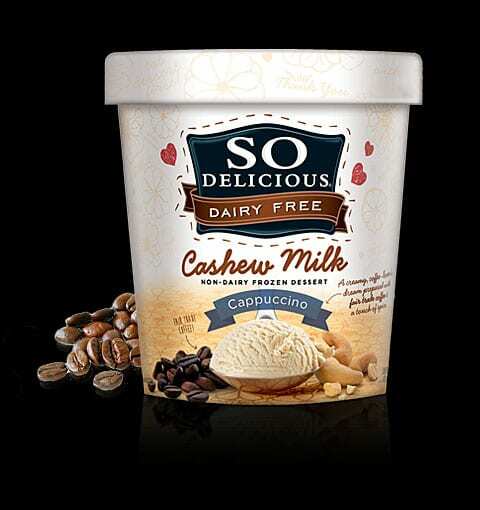 I was recently contacted by SO Delicious Dairy Free to review their brand new Cashew Milk Frozen Dessert Pints and was really excited to try them! 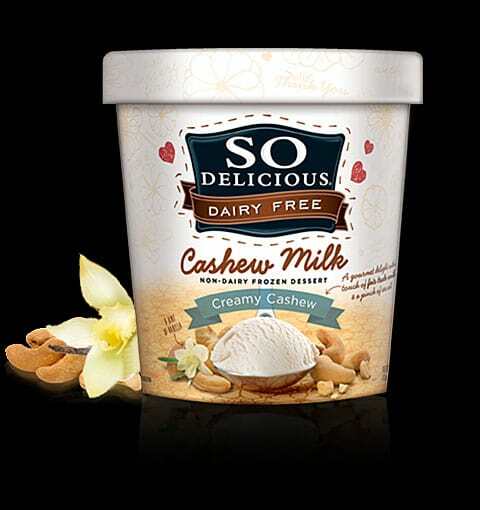 Cashews are very popular and used frequently in vegan cooking, cashew cream being one of the most popular substitutes. I love cashews because they don’t have an overpowering flavor and tend to offer that creaminess while taking on the flavor of what they are paired with. 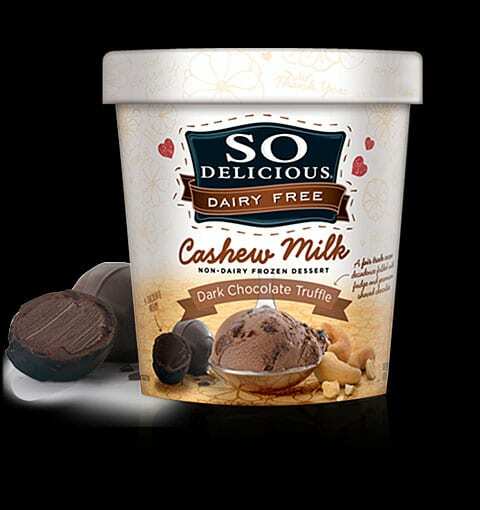 I am a huge fan of SO Delicious in general and these are no exception! The quality of their products is phenomenal, the packaging is unsurpassed, and the taste – always on point. Like their other products, they are free of artificial flavors, sweeteners or colors. These frozen desserts are made with fair trade coffee, vanilla and cocoa. Aside from being completely vegan, they are also about half of the fat and sodium of their dairy counterparts. As always, they are Non-GMO Project Verified, gluten free and as I mentioned, vegan. First up we have Cappuccino. I am admittedly not much of a coffee lover, but my coffee-loving friends will adore this one. I imagine this would make an amazing frappuccino. Then we have the Creamy Cashew which I am most excited about. I have already used this in some of my smoothies and shakes. It is so rich and creamy, yet very mild in flavor. 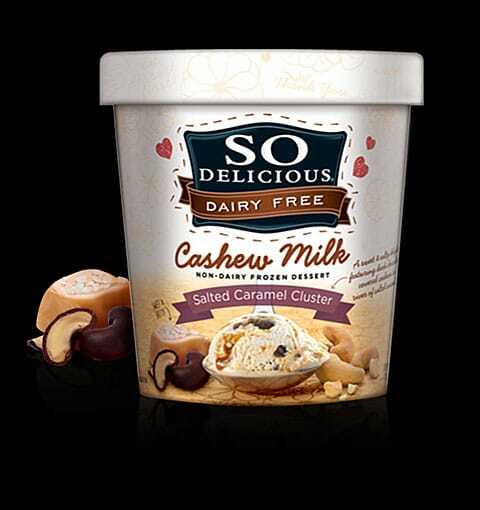 I still absolutely love their Almond Milk Frozen Dessert, but this one is vying for my sole affection. This next one, Dark Chocolate Truffle, can only be described as decadent! So creamy and chocolate-y. Very rich and delicious. And the winner is???? Salted Caramel Cluster! This is the most delicious non-dairy frozen dessert I have ever tasted in my entire life. No exaggeration. I honestly cannot give this one enough praise. Go out and buy it. Now 🙂 The flavor is so complex and you can taste each and every component. I will totally be buying this one again and again. Snickerdoodle will appeal to a wide variety of people. It does have a cinnamon overtone. I personally am imagining this mixed with pumpkin puree and making a shake out of it. Special thanks to SO Delicious for giving me the opportunity to taste…and fall in love with these new frozen desserts. DISCLOSURE: Financial compensation was NOT received for this post. A sample of the product was sent to The Veg Life! for the purposes of review. The opinions expressed here are my own and any recipes used in the review of this product were not sponsored. I saw your Instagram post about this and had to check it out because I’ve been wondering how the cashew flavors were! 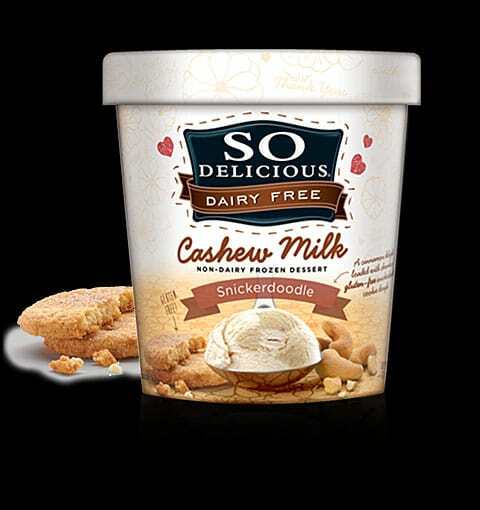 I love SO Delicious and definitely going to try out that salted caramel or snickerdoodle now!